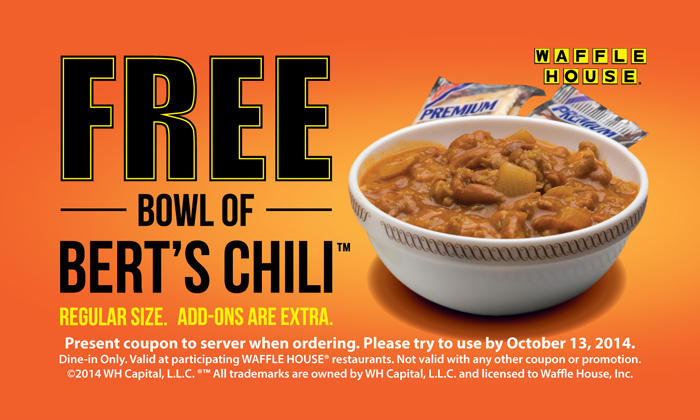 Get a free bowl of Bert’s Chili at Waffle House. No purchase necessary. Coupon expires October 13th, 2014.